After Little Mix’s Leigh-Anne was hilariously trolled last week by her boyfriend, she decided to seek revenge in the most savage way possible. If someone pranks you over social media, then there’s only one thing for you to do – get immediate revenge. This is obviously what Leigh-Anne Pinnock thought after her boyfriend posted an ‘unflattering’ photo of her to Snapchat anyway. Biding her time for a week, the Little Mix star saw her perfect opportunity to reek havoc upon her footballer boyfriend, Andre Gray and grabbed it with both hands. 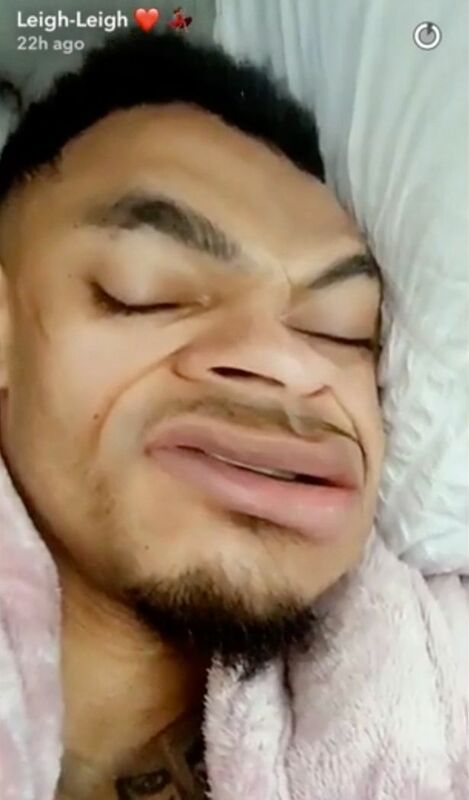 Unfortunately for Andre, he had fallen asleep in some unusual bedroom attire – Leigh-Anne’s baby pink, fluffy dressing gown – and the Little Mixer couldn’t wait to get a picture and post it onto Snapchat. Aww look at the liddle babyyy all cosy in my dressing gown! #Karmasabitch. 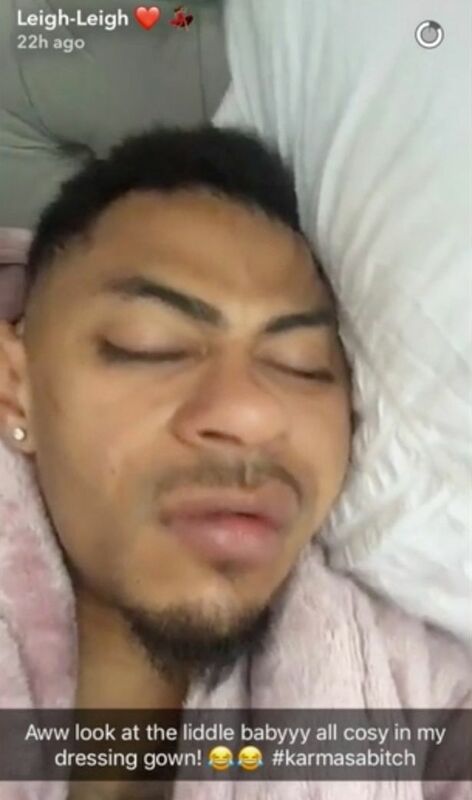 Clearly that wasn’t quite enough for the singer, as while she was at it, she snapped a few more photos of him sleeping with some pretty freaky filters on top, and just for good measure, posted them onto Snapchat too. 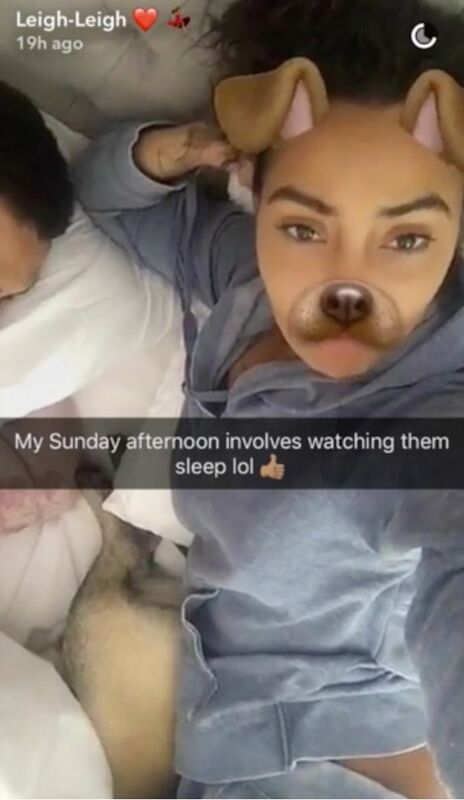 She didn’t get away with it for too long though, as Andre soon woke up and got back to it as soon as she’d fallen asleep this time – snapping pics of her once more, putting dodgy filters on top and sending them to her fans. 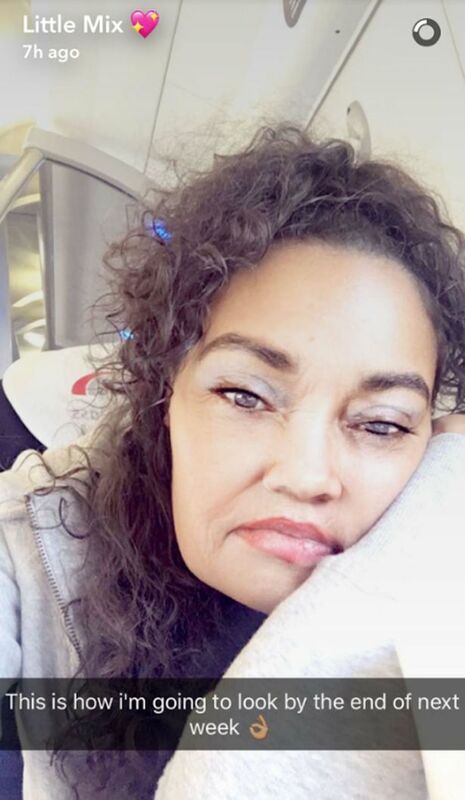 This is obviously going to be an ongoing game between the two though, as the whole thing started after Andre sneakily sent a photo to Snapchat of Leigh-Anne, looking pissed off with a ‘gran’ filter over the top. This is how I’m going to look by the end of next week. To anyone who just saw that really gross snap of me. That was my annoying boyfriend Andre who decided to post it because he’s an idiot. And I’ll get him back. Thank you and goodnight. Bit awkward for Leigh-Anne, but at least she got her own back though.